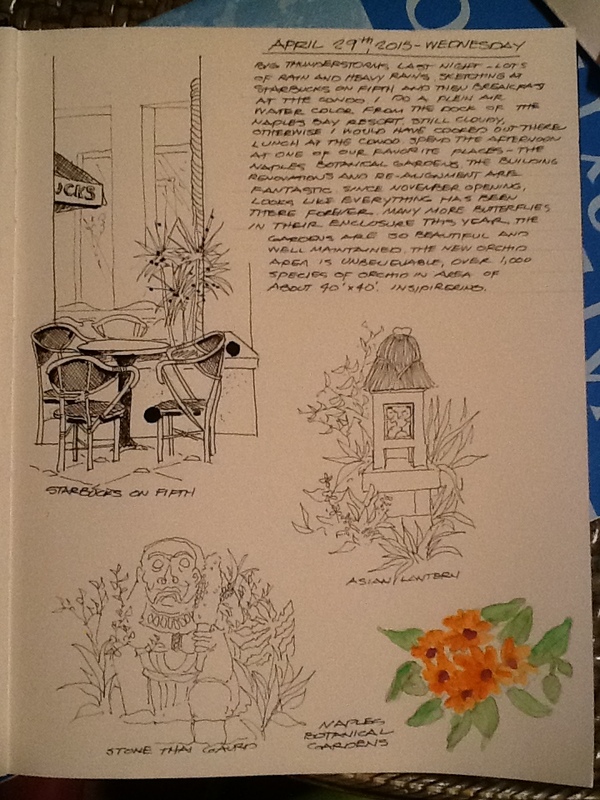 Attached is the page from my Travel Journal Sketchbook from today. The images include a sketch from Starbucks, 2 ink sketches and a watercolor from the Naples Botanical Gardens and journal entries from today. Gorgeous work, and very inspiring for me.